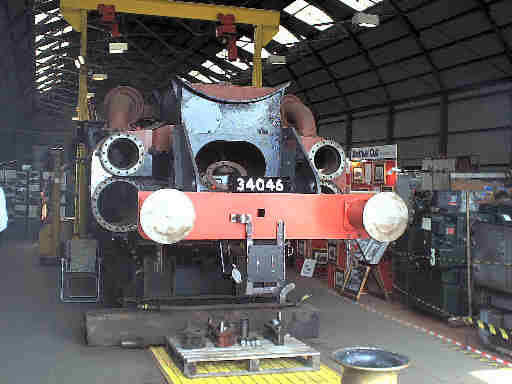 There aren't many locos in course of overhaul or restoration, 5542, 88 and 3850 have been completed leaving one in progress at Minehead, one at Williton and one "in the queue" on display at Bishops Lydeard. In addition there are three industrial locos and a narrow gauge diesel at various places on the line. 4160 is one of the line's resident locos, built just after nationalisation she is properly restored to her original British Railways livery and belongs to 4160 Ltd. 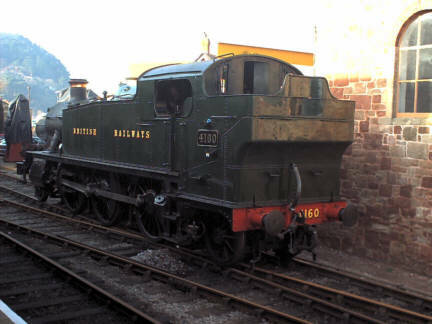 It is a member of the ex GWR 5101 Class of 4MT 2-6-2T Prairie tanks. The class was introduced in 1929 based on a Collett rebuild of the Churchward 3100 Class. 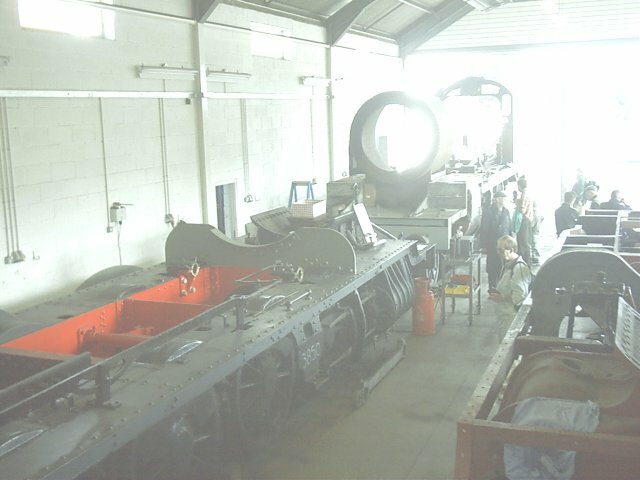 She is at present being overhauled by the SDR at Buckfastleigh. Like 88, 4561 has been restored previously and is now waiting her turn for overhaul on the expiry of her boiler certificate. She is a 4500 Class 3MT 2-6-2T "small prairie", similar to 5542 which has just been restored but with smaller water tanks and hence lower weight at 57 tons. 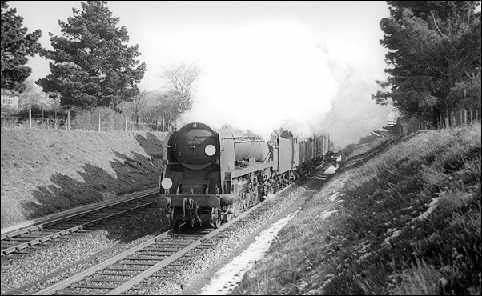 34046 Braunton is a rebuilt ex Southern Railway West Country Class 7P5F 4-6-2 Pacific of a type that was once common on the nearby Waterloo - Exeter line. 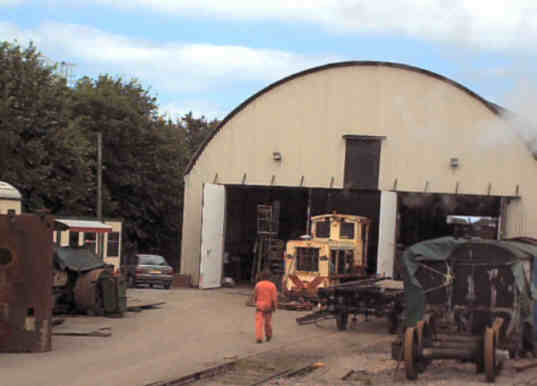 She is being restored by the WSRA at Williton and is on a fast track to completion which is being funded by her owner, Jeremy Hosking. The lower left photo, by Nigel Kendall, shows her in action on Walkford Bank, New Milton in 1965, the lower right, by Chris Ware, shows her in Barry scrapyard. Weight: 90 tons 1 cwt. 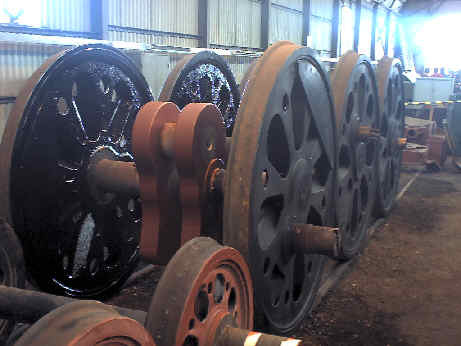 (loco) Driving wheel diameter: 6' 2"
An unusual visitor is a 1' 11 1/2" gauge diesel loco being restored for use on the Lynton and Barnstaple Railway who have recently started relaying track on the ex Southern Railway line that was closed in 1935. It has a 150 bhp Gardener engine. Isabel, a Hawthorn Leslie 0-6-0ST overhaul recently completed at Washford.